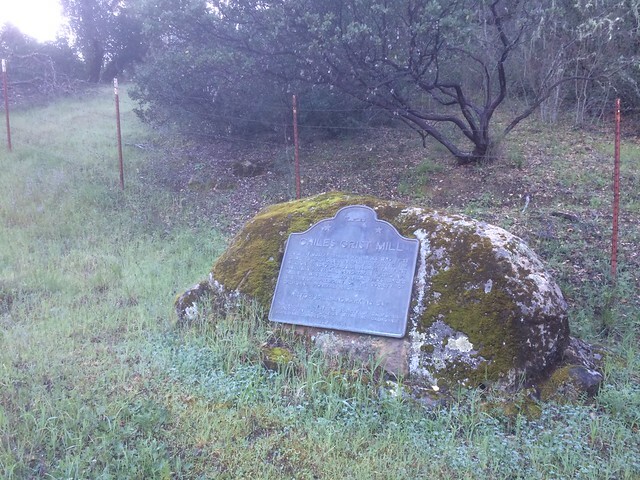 This landmark is located on the southwest corner on hillside, Chiles and Pope Road and Lower Chiles Valley road, 3.6 miles north on Highway 128, St. Helena, California. There are 16 other California State Historical Landmarks in Napa County. The GPS coordinates for this location are N 38° 32.111 W 122° 20.239. 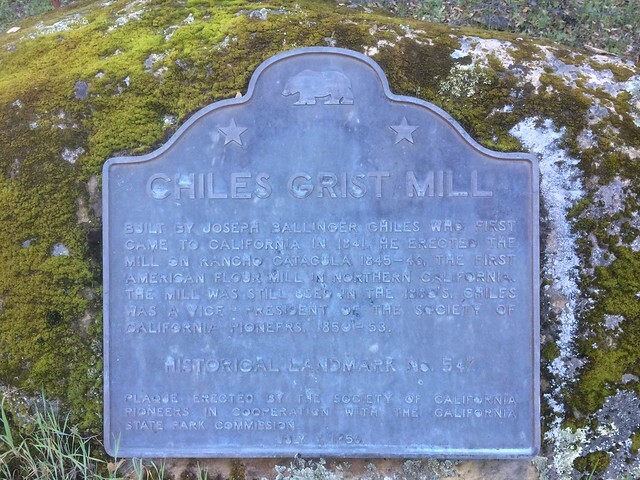 Joseph Ballinger Chiles, who first came to California in 1841, erected the mill on Rancho Catacula 1845-56. The first American flour mill in Northern California, it was still in use in the 1880s. Chiles served as a vice president of the Society of California Pioneers, 1850-53.